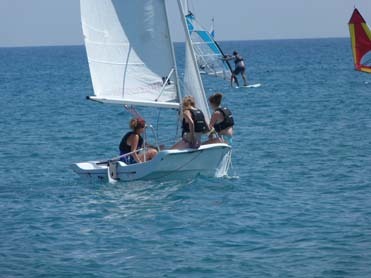 ﻿ Sailing holiday accommodation, self-catering houses to rent near the water. Stay close to a sailing school or yacht club, rent a large holiday house for your sailing holiday in UK. If there is one thing the UK has plenty of, and that’s water for sailing on. Whether it’s off the 17,820 km (11,072.76 miles) of coastline of ‘mainland’ Great Britain suggested there is by the Ordnance Survey (the mapping authority for the United Kingdom), or on one of the many lakes, lochs and bodies of freshwater inland, there are simply hundreds of locations where you can either take your own boat or rent one for sailing. Yacht charter sailing holiday or flotilla are also very popular but these are more restricting, and accommodation is onboard. Other water sports can usually be found close by - so if you prefer to windsurf or kayak, you'll be sure to find your sailing vessel. Yacht sailing courses with RYA begin with dinghies and catamarans, there are often weekend regatta small boat racing, or yacht racing where every crew member has to pull their weight in the team - its fun and sociable too! 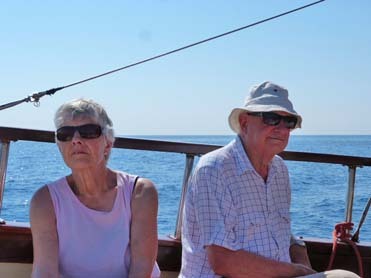 Sailing, by its nature, as well as for safety reasons, is a very social hobby. Whether it’s gently on Loch Lomond, the largest stretch of inland water in Great Britain, or competitively off Cowes on the Isle of Wight, there is something for people of all ages and abilities. If you want to go sailing as a group, especially if you have a mini-fleet of small boats to tow behind your cars, accommodation can often be hard to find for everyone in one place. With some people staying in one location and others elsewhere, it can take the gloss off your holiday having to constantly add logistics daily into the organisation. Largeholidayhouse.com, the large house holiday rental specialists can help solve this problem. We have a selection of large houses available for rental by groups to enable them to enjoy being together, maybe with a private mooring or just a stroll from a yacht club or sailing school. This eliminates the need for the officious 'you go here' and 'you go there' at the end of an otherwise enjoyable day's sailing. Just head back to your large holiday home together, you’ll all be under one roof, able to discuss the current and following day's activities without having to dash off in the car (often towing the sail boat behind on winding country roads at night) to get to bed. Big house in Herefordshire near Ross-On-Wye with 7 bedroom, sleeps 15, Pets friendly, Barbecue, Ground Floor Facilities, Pub within 1 mile, Wifi, Cot Available. Large property for holiday let in Cornwall near Newquay with 7 bedroom, sleeps 13, Pets friendly, Barbecue, Pub within 1 mile, Wifi, Cot Available, Coastal Property. Large holiday property in Lincolnshire near Boston with 6 bedroom, sleeps 12, Pets friendly, Barbecue, Golf nearby, Wifi, Cot Available, Private Hot Tub.